You, Me and Movies: Who Will Sing the Song For "Spectre"
The James Bond film series is defined by many things. Whether its the Vodkan martinis, the Aston Martins, the women or the gadgets. James Bond has several connections one could to make back to the series in some form. Another one of those connections are the music. The Bond franchise is unique in the way it blends a catchy tune with an eye-popping, awesome opening credit scenes. Seriously, as far as opening credits scenes go, they don't get better than Bond. So any year featuring a new James Bond movie on the horizon, one always asks. Who will sing the new James Bond tune. 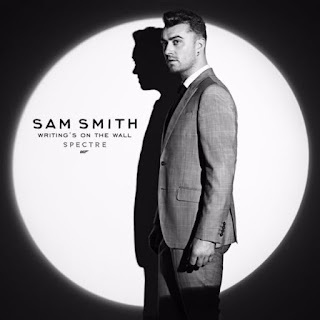 Well the answer has been given for this years "Spectre" and an artist has already recorded his tune for the movie. That artist is none other than Sam Smith. The song is called "Writing's on the Wall"
"It's the quickest I've ever written a song - it took 20 minutes... and they loved it!" "I love the song so much," he added." Me? Well, I am definitely curious to hear this song. I think Adele gets a lot of bad mouth for her song in 2012's "Skyfall." I am honestly baffled by that. I think she deserved all the praise and hype she got from that song. At first, I thought it was dumb getting Adele to do a Bond song, then I actually heard the song and was transported by the song completely. I will be interested to see how Sam Smith fairs and can't wait to hear the song he's created. But so far, as the Daniel Craig movies go, my favorite song is still "You Know My Name" by Chris Cornell. "Spectre" will hit theaters this November.